Here is the beautiful Pink Lining mini messenger, however that’s where the love ends. I do adore the cottage garden print, it has incooperated spring and summer beautifully. This bag comes with two outer pockets and one main. The outer stores the changing mat and wipes one side, with a zip pocket the other to store all your mummy essentials- phone keys, lippy etc. The main pocket inside has a detachable bottle holder and a generous sized nappy pouch to help keep things in order. The inner lining is the Pink Linings signature “hot pink”, which compliments the bags print perfectly. As an avid Pink Lining fan I was so disappointed with this bag for the fact that the strap cannot be worn across the body if your anywhere near 5ft9-10 as it awkwardly hangs against my hips. I ordered this bag for ease with running round with two under two but it has left somewhat to be desired.. Pink Linings mum on the run bags come with a matching mini changing mat however this bag costs £10 extra and comes only with a shocking pink mat, I feel they have compromised the bags quality just to save their company a few penny’s. Please improve the adjustable strap to accommodate us taller Mummas pink lining so we can actually wear the bag like a messenger bag should be worn. 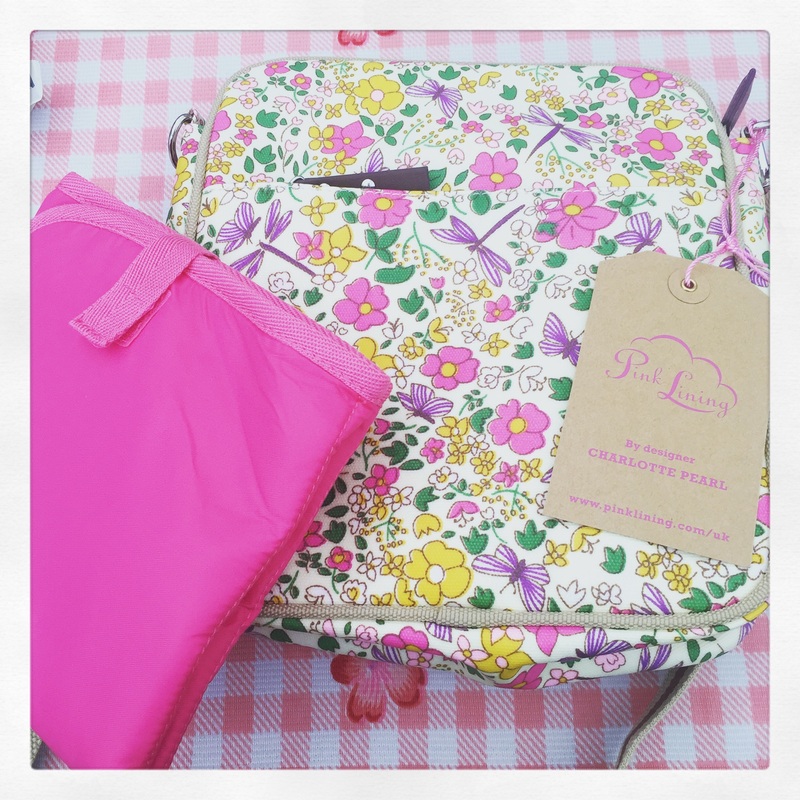 *EDIT* Pink Lining have been in touch and are sending out a replacement strap, for these reasons I would say I am more than happy to now use this bag and will let everyone know how I get one with it in a few weeks.